Friday…it started out as a regular day. Nothing special… just a day to catch up and begin to wonder about Episode 10 of Celebrity Apprentice. 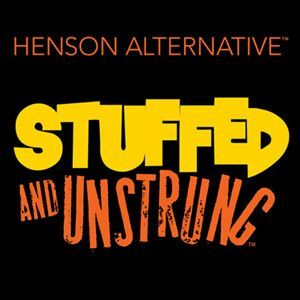 Just got word that Clay Aiken will be @CarolinaDurham tonight for Stuffed & Unstrung. Rumors are that you just might see him on stage! 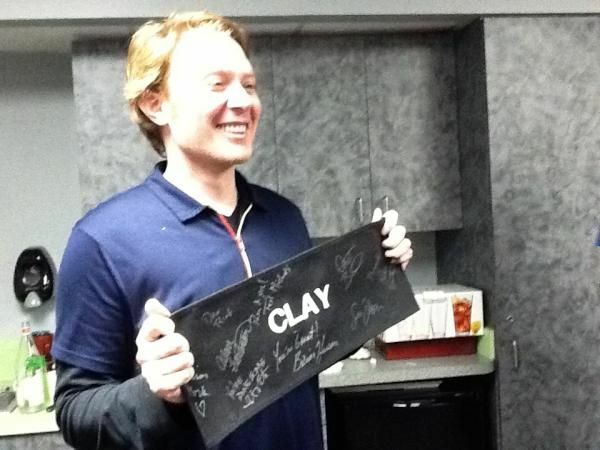 Hilarious Elton John story from @clayaiken, esp. his stint as Beatles backup singer. 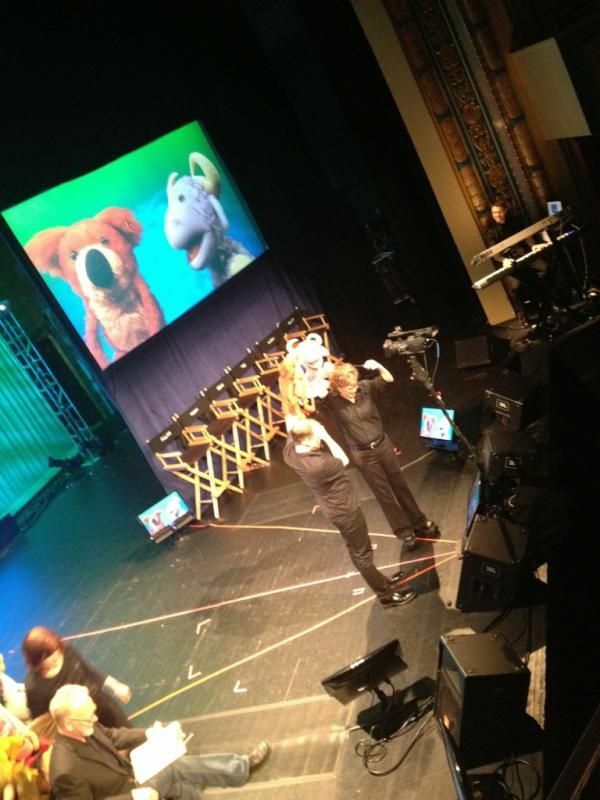 Lots of fun @stuffedunstrung. Having a blast with @stuffedunstrung in Durham. #stillnotgoodenoughforacareerchange Thanks for the invite @1PatrickBristow Great show!
. 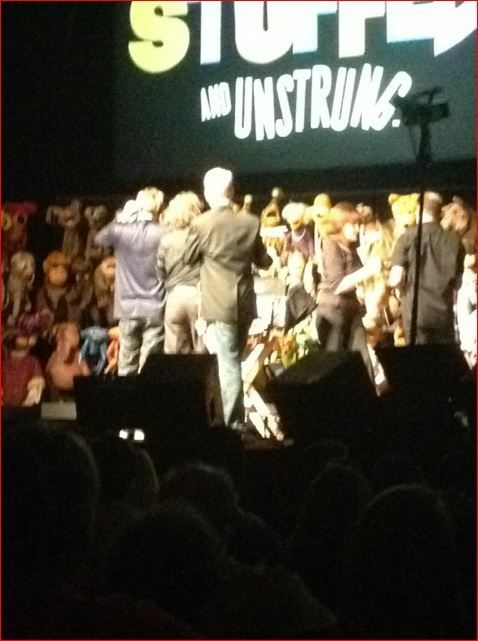 @clayaiken @stuffedunstrung Clay rocked the house tonight! @ihatealzheimers Clay was a natural! So funny and we even got him to improvise a song. Lots of fun!! If any reviews show up, I will add them to this post…so…check back later! I assumed that Clay would get many opportunities by appearing on Celebrity Apprentice. I never thought one opportunity would be working with Puppets! What a talented man! Can you imagine how much fun the cast and audience must have had Friday night! Perhaps Clay might do it again some time! do. He is enjoying this – I have no doubts – never know where he will show up next!!! I saw a tweet from one of the puppeteers earlier in the week where they invited Clay to do a show with them in May. Would have loved to see clack of this performance. Clay is so versatile and talented! I would have never thought that he could do a British accent for Spamalot and be so good at that, too. Some of the voices he did for Puppet Up on Apprentice reminded me of his days doing the shows at Johnston Community College. Especially when he dressed up as Santa. Loved those videos. I am loving that Clay has made so many new friends from his C.A. appearances. This opens up many different venues for his talents. Who knows where we’ll see him next?! Sound like he had a blast!!! Wish I could have been there to see it. He really is multi-talented. Thanks for your excellent coverage again. So wish we had "Clack" of this show. I bet Clay was really good and had a great time. Maybe he will do it again sometime!! Thanks for posting the tweets and pictures. From the pictures it lookes like Clay had lots of fun doing this show. I am so happy he did. We know how fast he thinks on his feet and is so creative. I am glad some of the fans were there and could give us a recap. Yeah for Clay! Thanks so much for the article. How fun! Anyone who has attended Clay's concerts knows that he is quick witted. This seems like a perfect fit for him in the future. Too cool! I bet he did have a blast! 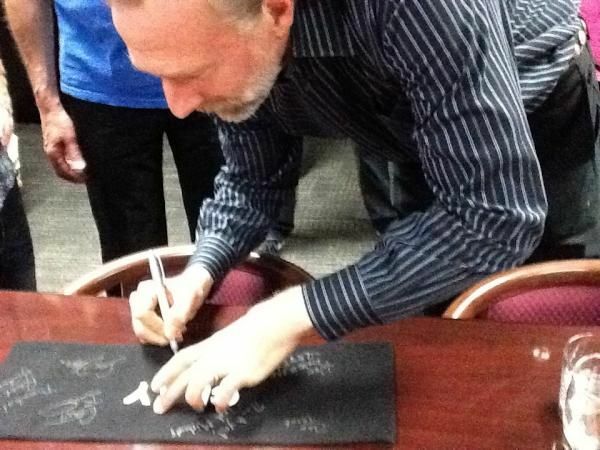 I am so disappointed that there probably is no video of this, but I'm so happy Clay got to do this. His CApp appearance will open new doors for him. Error: Error validating access token: Session has expired on Tuesday, 21-Aug-18 16:13:01 PDT. The current time is Thursday, 25-Apr-19 23:19:06 PDT.